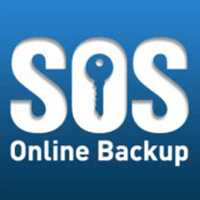 SOS Security provides IT security products and solutions. SOS Security specializes in managing risk, maintaining compliance, and protecting businesses’ cloud services from third-party and evolving security threats. It creates security strategies to meet clients’ needs and provides end-to-end data encryption and destruction policies for physical and digital information. SOS Security market its services to a variety of industries, including education and government. SOS Security specializes in in-the-cloud security services, corporate networks infections. While firewalls and other server protections are effective, they lack the comprehensiveness of SOS Security solutions. Its in-cloud service, for instance, enables enforcement and malware protection for multiple locations and devices without buying multiple protection products. It focuses on protecting networks or corporate servers by redirecting traffic from each firewall or device to the SOS Security cloud. Its cloud network is then able to identify advanced viruses, and even decrypt SSL traffic to detect hidden threats. The SOS Security platform protects against both inbound and outbound attacks, while its URL filtering can filter searches and manage web content without completely blocking webpages. Businesses and companies with sensitive data have benefited greatly from SOS Security and the company’s cloud protection. Companies have used SOS Security to protect their networks and remain in compliance with private information protection laws. Firms have also used the platform to enforce company IT policies, while cutting down on traditional security software. Learn everything you need to know about SOS Security. Our experts will reach out to you shortly.